Description: While the Bible contains 150 Psalms, there is one that captures the true essence of all of them. And yet, if you didn’t know it, its title would fool you. 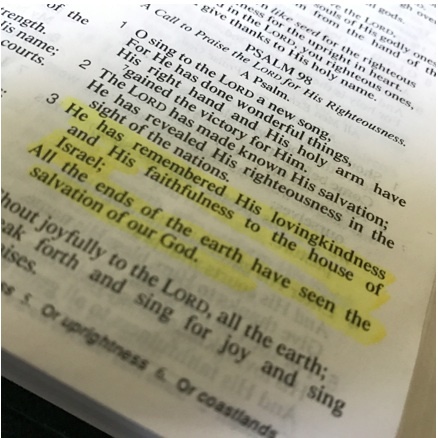 Today on Scandia Bible Church Podcast, Pastor Monty Simao, in the wake of his son’s tragic death, leads us to Psalm 98 – because he was lead there. It’s a psalm that in just nine simple verses, lays out the very heart of worship and the great and wonderful God who is greatly to be praised. Description: Many Christians have only a limited knowledge of this most wonderful gift that God has given to His children: prayer. Because the power of prayer is misunderstood it to often goes unused. Today’s message on prayer is intended to educate and encourage us to follow the Biblical instructions on the use of this marvelous gift. Description: In this sermon, we look at the promise Jesus made to His disciples in John chapter 16. He told them that they would be filled with sorrow even as the world rejoices, but that He would turn their sorrow into Joy. Then we look at John chapter 20, to see the fulfillment of that promise and the benediction of peace that Christ pronounced upon His church on that first Easter Sunday and continues to pronounce upon His people today. Description: In the fourth verse of chapter one, John quotes the words of Jesus Himself — who not only is the Root of our joy — but who also gave His joy to us … a joy unchanging in the midst of circumstance.